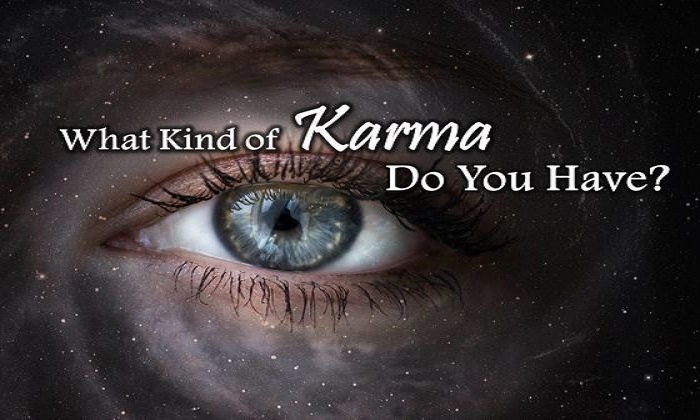 Home » Buddhism » spirituality » What Kind Of Karma Do You Have? In Hinduism and Buddhism, Karma is the sum of a person’s actions in this and previous states of existence, viewed as deciding their fate in future existences. Good intent and good deeds contribute to good karma and future happiness, while bad intent and bad deeds contribute to bad karma and future suffering. Karma theory as a concept across different Indian religious traditions, shares certain common themes: causality, ethicization and rebirth. A common theme to theories of karma is its principle of causality. The theory of karma as causality holds that: 1. actions of an individual affects the individual and the life he or she lives, and 2. the intentions of an individual affects the individual and the life he or she lives. Unintentional actions do not have the same positive or negative karmic effect, as intentional actions. The second theme common to karma theories is ethicization. It begins with the premise that every action has a consequence which will come to fruition in either this or a future life. In other words, morally good acts will have positive consequences, whereas bad acts will produce negative results. An individual’s present situation can be explained by his/her actions in his/her present previous lifetimes. Karma is not itself “reward and punishment”, but the law that produces consequence. The third common theme of karma theories is the concept of reincarnation or the cycle of rebirths (saṃsāra) Rebirth is a fundamental concept of Hinduism, Buddhism, Jainism and Sikhism. Rebirth is the concept that all life forms go through a cycle of reincarnation, that is a series of births and rebirths. The rebirths and consequent life may be in different realm, condition or form. The karma theories suggest that the realm, condition and form depends on the karma a person has attached to them. What kind of karma do you have? Take the quiz to find out!